Brilliant concept for launching a new lighting range. Lee Broom is one of Britain's leading product & interior designers. 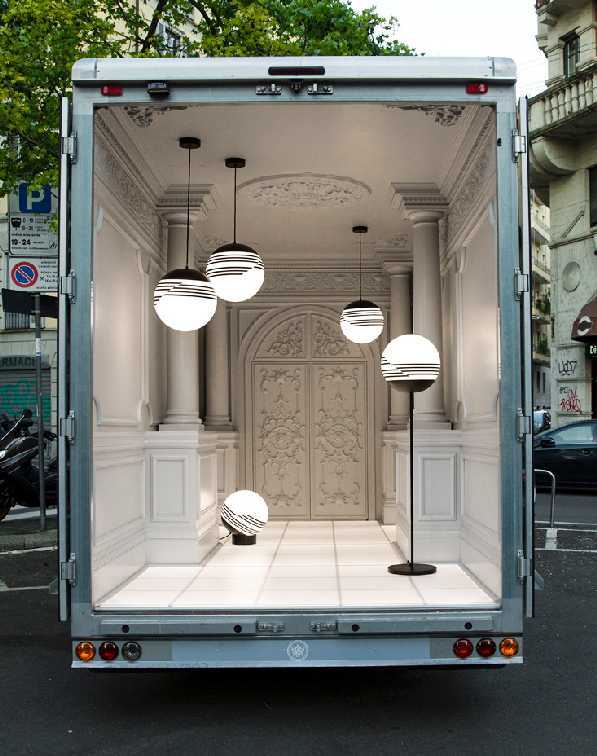 Since 2007 he has been designing furniture and lighting products, He recently presented his latest lighting design via a mobile installation called Salone del Automobile which is inside Broom’s industrial grey and white liveried delivery van. The rear doors open to reveal a striking recreation of a traditional Italian palazzo adorned by his impressive new lighting range called Optical.